The Case Western Reserve University swimming and diving teams are starting the new semester on a high note. The Spartans ended last semester at the College of Wooster Invitational, coming in first out of the 11 competing universities. The team swept the board, racking up enough points to launch them into the overall win. The Spartans took first in the women’s 200 yard freestyle relay due to the combined efforts of fourth-year athletes Bhavya Kumaran and Suhan Mestha as well as first-year athletes Daniella Rupert and Skye Fogle. 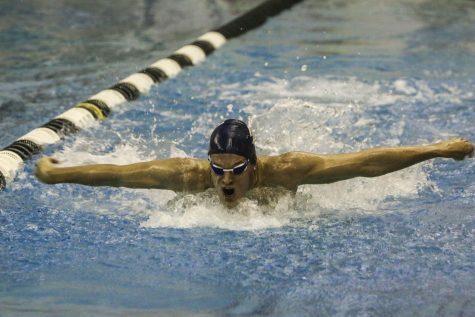 Sean Twomey, a second-year swimmer, took first in the men’s 200 yard individual medley, beating Ohio Northern University (ONU) third-year star swimmer Nolan Huey by 0.51 seconds. Mestha, Rupert and Fogle of the women’s team also swept the board, each earning a coveted spot in the top eight finishers for the women’s 50 yard freestyle. The women again made a splash in the 400 yard medley relay. Second-year swimmer Caitlyn VonFeldt started the team off, followed by fourth-year swimmer Allison Drohosky, then by first-year swimmer Anna Smith and finished with Spartan powerhouse Mestha as the anchor. The team had a heavy lead in the preliminaries, and shortened their final time by about seven seconds, far ahead of the second place team from Edinboro University of Pennsylvania. In the men’s 400 yard individual medley, CWRU placed five of the top six spots. Twomey again took first place, followed closely by teammates first-year student Ryan Gorman, second-year student Kyle Barclay, fourth-year student Keith Erichsen and A.J. Quinn, a third-year student. 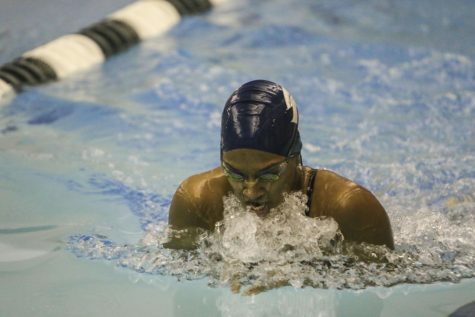 Smith placed first in the women’s 100 yard butterfly, followed closely behind by Fogle in fourth-place, a mere two and a half seconds behind Smith in this close race. 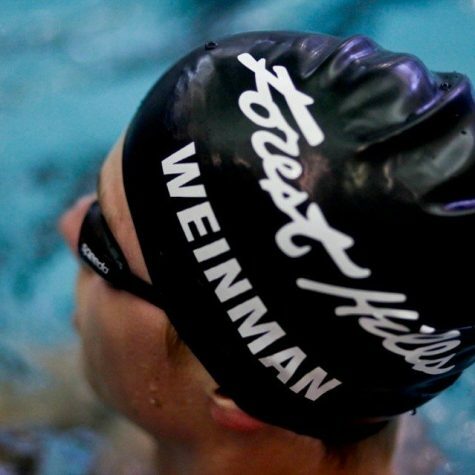 For the A-list women’s 100 yard backstroke, only two swimmers could edge into placing spots amongst the CWRU Spartans. Mestha came in first, followed closely by VonFeldt, second-year swimmer Olivia Love and in fourth, Kumaran. 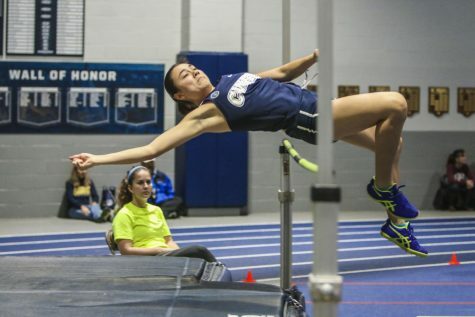 Smith took sixth and Jackie Ngu, a first-year student, rounded out the heat scoring eighth. In the women’s 800 yard freestyle relay, the Spartans again showed the other teams that they came to win. Rupert and Drohosky were joined by first-year student Sarah Krueger and third-year student Olivia Picchione, taking the win over Malone University. Erichsen from the men’s team took the 1650 yard freestyle with an impressive time of 16:18.26, almost six seconds ahead of the second place swimmer from the University of Mount Union. First-year student Calvin Tecson also made his mark on the tournament, placing first in Event 30, the men’s 100 yard freestyle in both the preliminary and final heats. 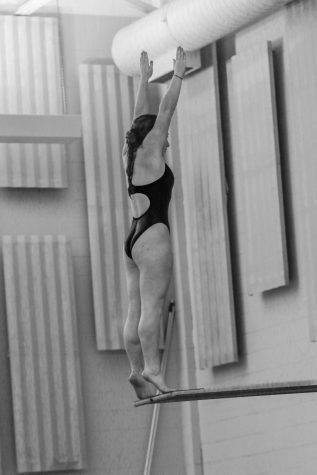 Second-year diver Cassiel Yuzik, who placed in both the men’s one meter and three meter diving competitions at the Wooster Invitational, remarked on the team’s hard work already this semester. He said the team came back “a week sooner” for two-a-day practices. 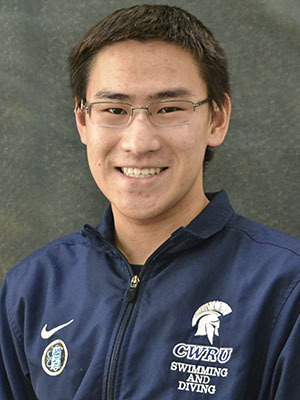 Next on the docket for the spring semester for the CWRU Spartans will be the State University of New York (SUNY) Geneseo in Geneseo, New York, for a day of tough competition on Jan. 19.